Jordyn Olle is crowned the 49th Cowboy Homecoming Queen at the coronation held Thursday, October 23 at the kick-off event. Pleased with the crowds that attended the 49th annual Cowboy Homecoming, the Pleasanton Chamber of Commerce is already thinking how they will top it for the 50th anniversary celebration next year. The numbers are not in right now, but co-chair Brad Mumm knows that the event was a money maker. 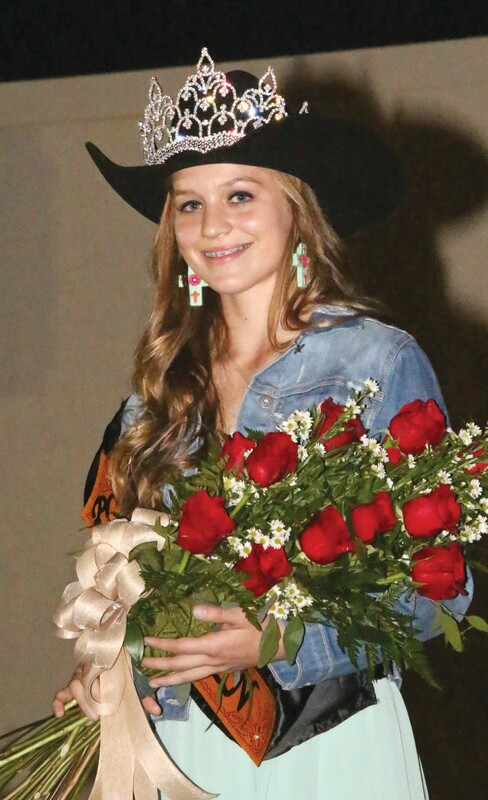 Jordyn Olle was crowned the 49th Cowboy Homecoming Queen at the coronation by Oriana Ortiz on Thursday night before the kick-off party for the event. Jordyn is the daughter of Carla and Mark Olle. Her court includes Princesses Kimbrielle Gusman, Julie Lopez, Taylor Maddox and Ynez Vera. Jordyn comes from a long line of Cowboy Homecoming queens. Each of her older sisters – all three of them – were queens. Jennifer (2002), Jessica (2005) and Jacquelyn (2011). Local talent Jerry DeLeon entertained the crowd at Kadobe’s by opening for the Chris Saucedo Band. The Friday night bull ride kept attendees on the edge of the bleachers before Scott Wiggins and Eddy Raven took the entertainment stage. The Cowboy Gallop and Fun Walk drew about 80 participants. The overall male winner was Alex Solano. He finished with a time of 118:25. And for the sixth time, fifth in a row, Bianca Paredes was the overall female winner. Her race time was 23:39. 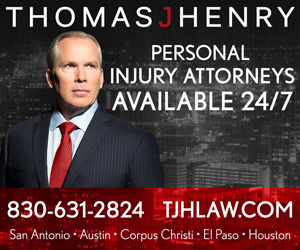 Complete results and photos are on page 7A. Winning the Grand Prize for the Barbeque Cook-off was Clarence Joseph and his Mama and Papa Joe’s BBQ. For complete results and photos, please see page 6A. The washer tourney, headed up by Young Farmer Robert Earl Wood placed three teams as winners. Their photos are on page 8A. The Texas Hold ‘em Tournament grand prize winner was Raymond Coffey. He won a trip for two to Las Vegas. Photos are on page 8A. The new event for this year proved to be a crowd pleaser. Those attending the Texas Truck and Tractor Pull competition on Saturday were not deterred by the noise, smoke and dust from the oversized and modified trucks and tractors. Winners are listed on page 8A. 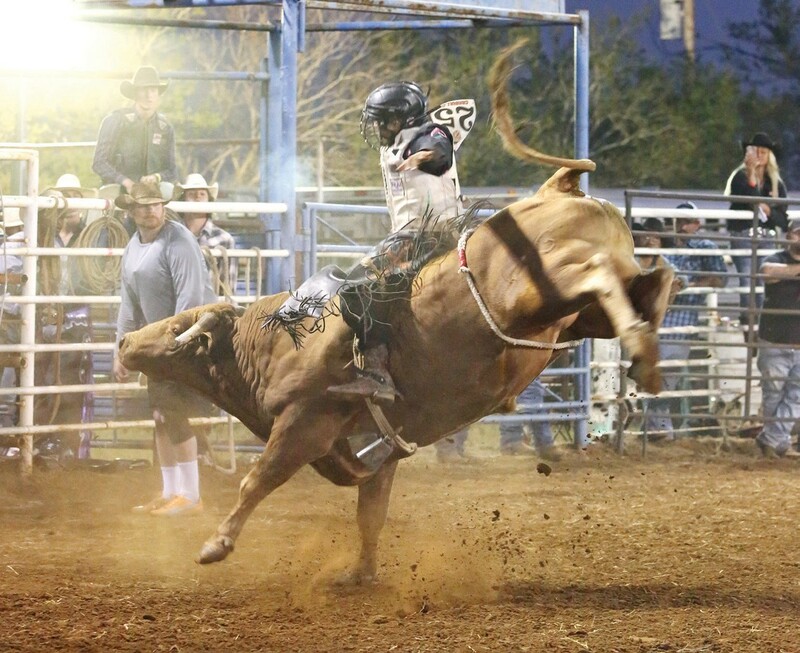 The Saturday night’s bull ride was followed by Wade Bowen and Kevin Fowler. They drew one of the biggest crowds. It was estimated between 3,000 and 3,500 were in attendance. So many people volunteer and donate money as well as their services and time to help make this fun event a success year in and year out. Hat’s off to the Pleasanton Chamber of Commerce for their continued efforts. 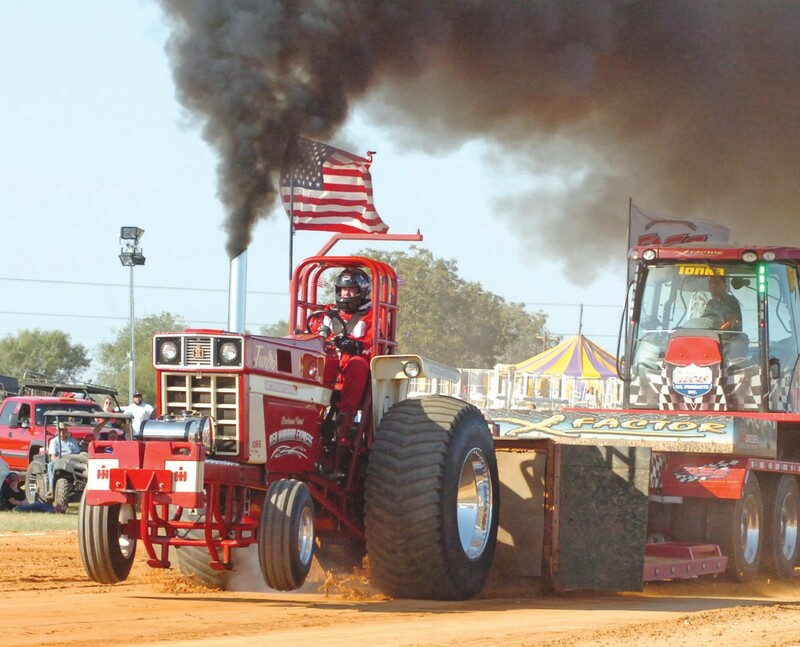 A successful tractor pull was held at this year’s Cowboy Homecoming weekend. The event drew a large crowd and received rave reviews. The bucking bulls lived up to expectations on both Friday and Saturday night at this year’s Cowboy Homecoming. 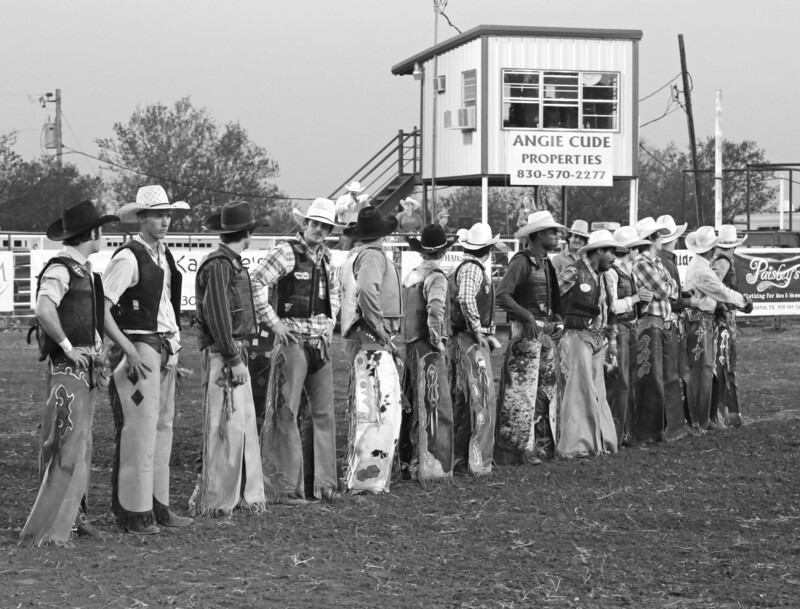 Participating bullriders prepare to ride as they are introduced at this year’s Cowboy Homecoming.